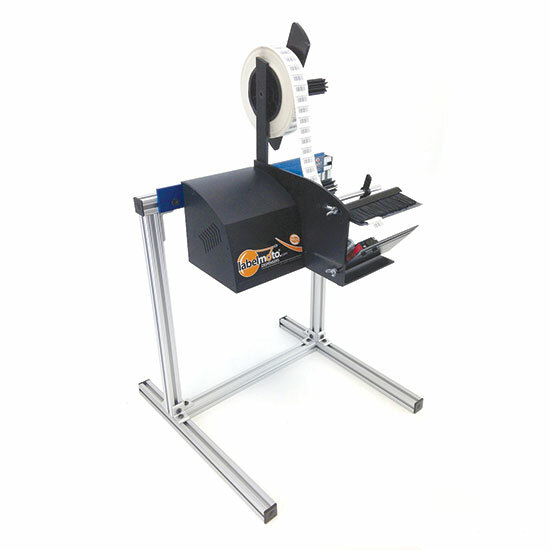 The Labelmoto® LDX6025 electric label dispenser dispenses wide & SHORT LENGTH barcode-type labels and die-cut parts made from paper, polyester, vinyl, acetate, foam, foil, and other materials. The LDX6025 has a photosensor, which ensures that the unit peels, dispenses, and advances accurately and consistently. The liner scrap is automatically rewound for a clean working environment. No tools are required to adjust the dispenser for different label sizes. It also has an adjustable strip plate for hard-to-release labels. The dispenser has a high-torque motor to handle the weight of large-diameter label rolls, with a maximum outside roll diameter of 12"/305 mm. The dispenser housing is made from anodized aluminum for durability. 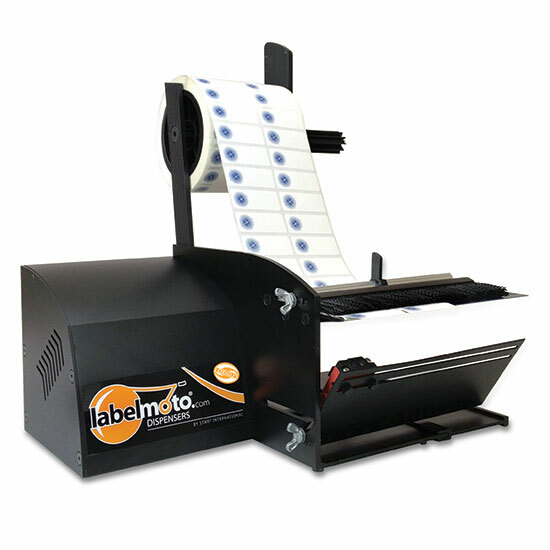 The Labelmoto® LDX6025 label dispenser operates on 100/120 VDC at 50/60 Hz. This label dispenser is made in the U.S. It is suitable for industrial uses such as manufacturing, assembly, and packaging. See the full Labelmoto line here to choose the best machine. 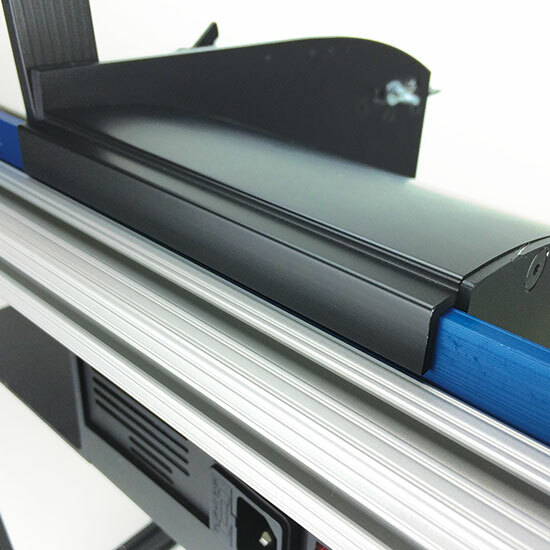 Label dispensers and label applicators help remove a label from its liner or backing paper. They are used in manufacturing, bulk mailing, packaging, and the food and beverage industry. Manual label applicators and multi-roll label dispensers are useful for small jobs. The operator pulls the liner or backing paper around a plate or a bar, peeling the label away from the liner. High-speed electric label dispensers are often used in industrial settings. When the operator removes a label, a sensor detects its absence and switches the motor to advance the label roll. The label is pulled over a strip plate, which separates the label and its liner. Electric label dispensers use either a photosensor or a limit switch as a sensor. Specialized label dispensers of both manual and electric types are designed for labels of unusual size or material such as bottle and jar labels, die-cut parts, and hang tabs. View our online catalog, find an authorized distributor near you, or email us here.